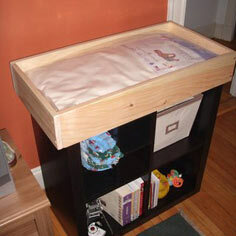 Whether you're looking for a classic piece of furniture you'll use for years or a temporary table you can transition as your child grows, a changing table for your child's bedroom is a perfect DIY woodworking project. 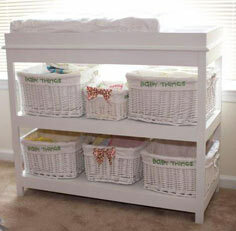 We have many changing table plans that provide both style and safety for any baby's bedroom. 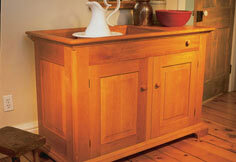 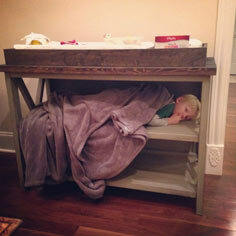 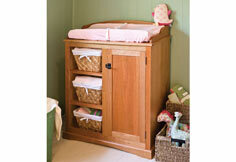 A changing table can be a simple, straightforward table or incorporate shelves or drawers for additional storage. 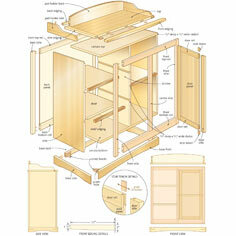 Contemporary plans often include open shelving or accommodate wicker, wooden or plastic storage bins. 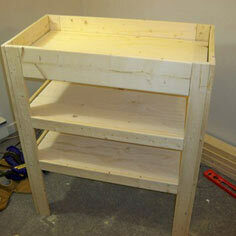 These are great for beginning carpenters. 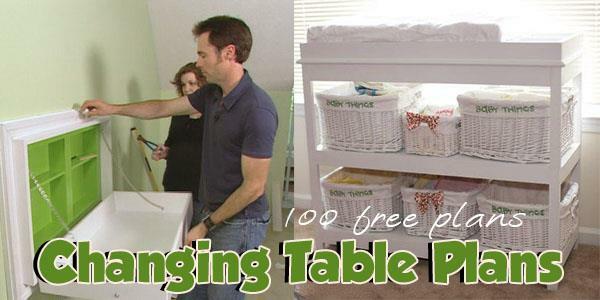 Changing tables look great whether they're stained or painted, and they make a perfect addition to any baby's first room.You will also find finely crafted heirloom plans in many styles to fit your room's decor. 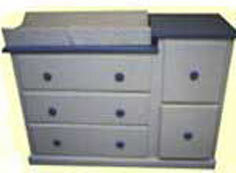 We've even found super easy, space saving wall-mounted units that are perfect for that tiny first home or apartment.